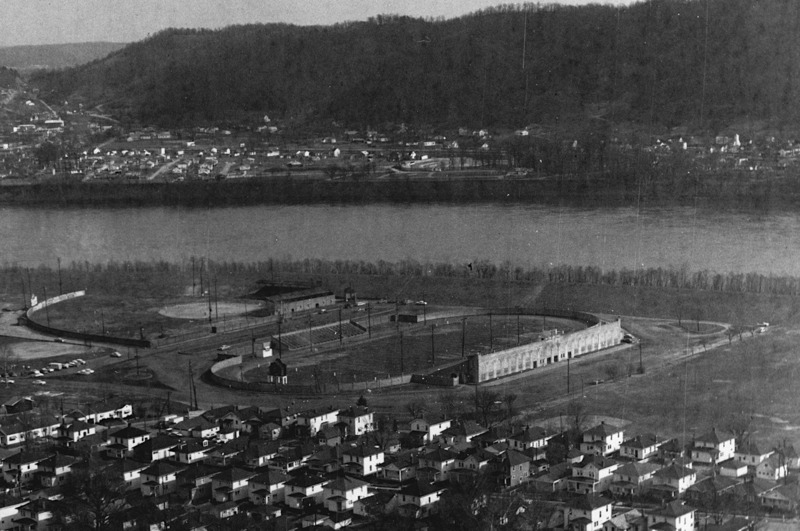 Built in 1930 as the home of the National Football League's Portsmouth Spartans, the concrete and brick grandstands, known today as Spartan Municipal Stadium, has long been recognized as one of Portsmouth, Ohio's most significant historical sites. 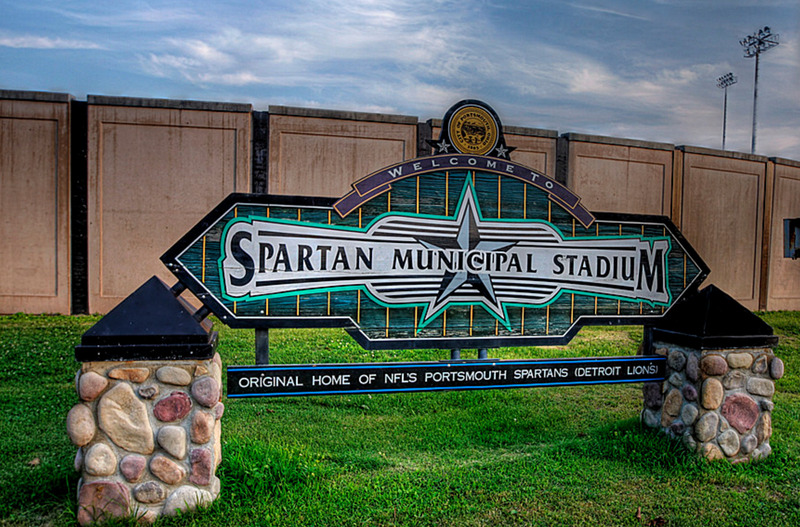 The Spartans played here for three years, in the depths of the Great Depression, from 1930 until 1933, when the franchise moved to Detroit and was reborn as the Lions. During Portsmouth's NFL years, the stadium helped pioneer night football with the Spartan's playing their first game under modern electric lights against the Brooklyn Dodgers on September 24th, 1930. While the Portsmouth night game was certainly the first such game played in region, the honor of the first ever NFL night game is held by the Providence Steam Rollers for their game, the previous fall, in November 1929. According to Wikipedia, "At the end of the 1932 season, the Spartans were tied for first place in the league with the Chicago Bears. That prompted what in retrospect became known as the first NFL playoff game. Blizzard conditions in Chicago meant the game was moved from Wrigley Field's outdoor field to the indoor field at Chicago Stadium, which allowed for only an 80-yard field. The game was won 9–0 by the Bears, on a touchdown pass from Bronko Nagurski to Red Grange. The resulting interest led to the establishment of Eastern and Western conferences and a regular championship game beginning in 1933." 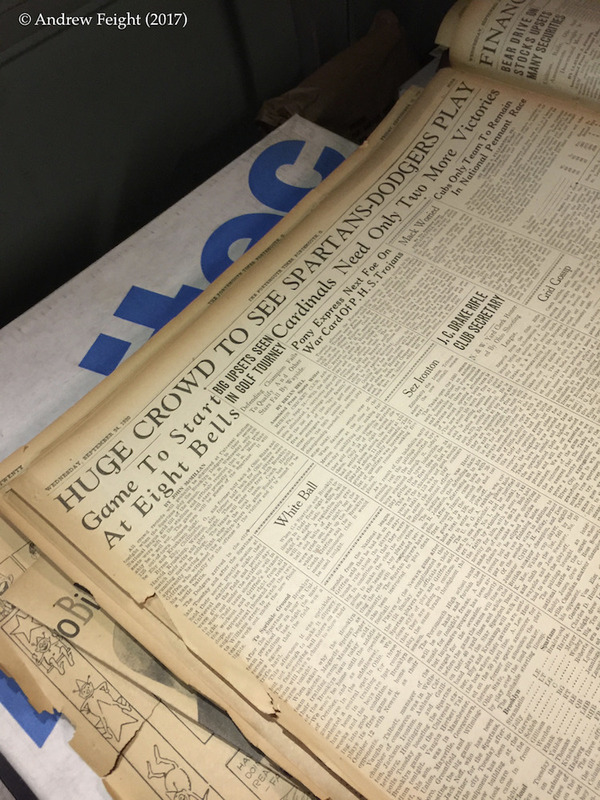 Explore the history of NFL football in southern Ohio and learn about the construction of Spartan Municipal Stadium via newspaper article transcriptions and historic photographs. "Pro Football," Salt Lake Tribune (4 November 1929). 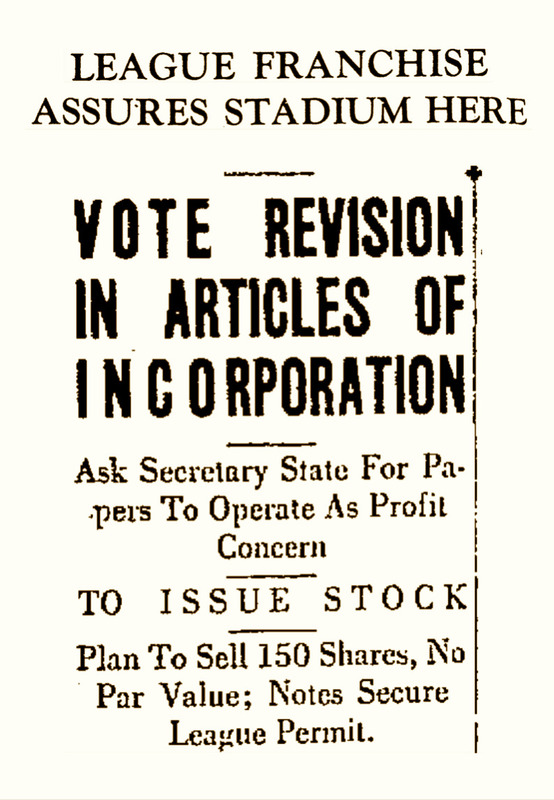 “League Franchise Assures Stadium Here,” Portsmouth Times (9 April 1929). 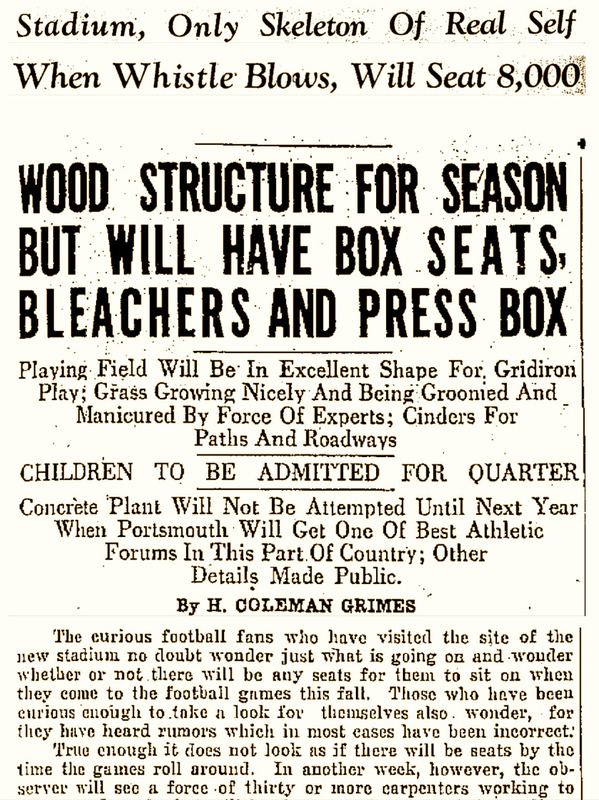 H. Coleman Grimes, “Stadium, Only Skeleton of Real Self When Whistle Blows, Will Seat 8,000,” Portsmouth Times (26 August 1930). “Record Crowd Puts Approval on Night Game,” Portsmouth Times (25 September 1930). 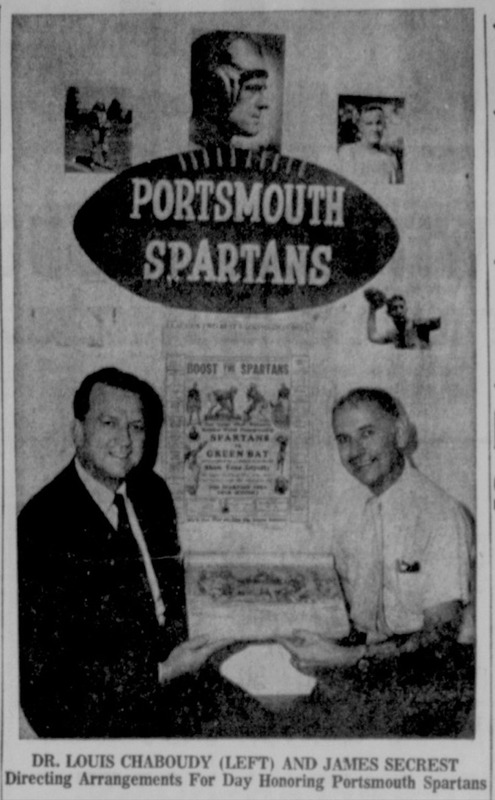 “Spartans to be Honored Aug. 10,” Portsmouth Daily Times (15 June 1970). 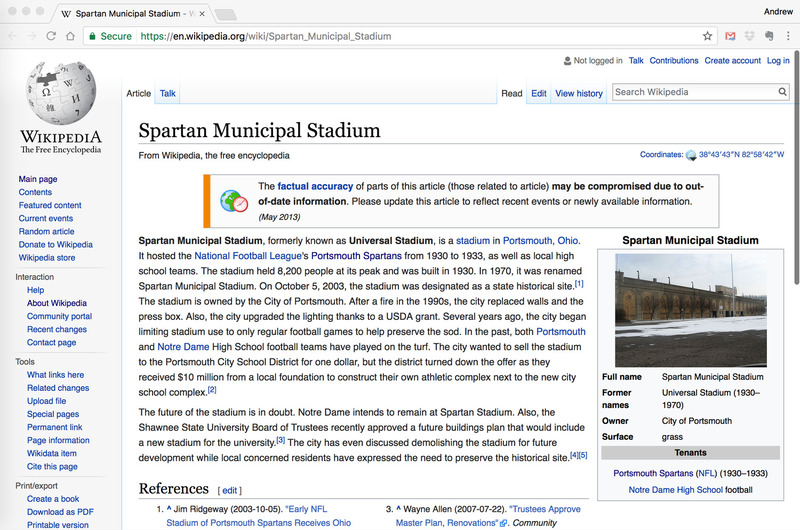 "History of the Portsmouth Spartans," Wikipedia. Web. Accessed 5 March 2017. Andrew Feight and Sean Dunne, “Spartan Municipal Stadium & NFL Football in Portsmouth, Ohio,” Scioto Historical, accessed April 24, 2019, https://sciotohistorical.org/items/show/112.